There are 24 torchbearers that have the honor of carrying the torch through Ball State’s campus, Minnetrista, and out along county roads. Today, the torch enters through Delaware County, home of the Delta High School Eagles. A junior at Delta High School, Cade Orchard, is running with the torch along State Road 32 in Muncie. 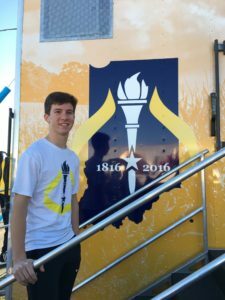 Cade Orchard, junior, celebrates the torch arriving in Delaware County on September 27th. Orchard was nominated last spring by a few different members of the Delta Community School faculty. He had no idea he was being nominated. James Thompson, Delta Middle School Social Studies teacher, approached Orchard at track practice last season with the news; Orchard officially found out over the summer he was going to be one of the 24 carrying the torch for Delaware County. Thompson, along with other Delaware Community School faculty nominated Orchard not only because of his passion for running, but also for his involvement at Delta High School and within the Muncie area. Being the avid runner he is, Orchard is a member of the Delta High School Track and Field team, but also the Cross Country and Swimming team. Orchard has lived in Delaware County all his life. He has been involved in choir since 6th grade. He is currently the Vice President of Student Council, and the Publicity Chair for National Honor Society at Delta High. On top of being a full-time student athlete, Orchard averages 14 miles a day for a two week period over the summer. He has ran a triathlon and many half marathons through his time on the cross country team. Orchard says his next goal is to run an ironman, which is a long- distance triathlon consisting of a short run, swim, bike, and then a marathon without a break. Thompson states that Orchard deserves the chance to represent Delaware County not only because he is a strong student, but because he also represents a Delta Eagle. “I am running for myself today; it is an honor to be one of the torchbearers for the county,” said Orchard. The torch will leave Delaware County and travel to Randolph and Jay Counties later today. 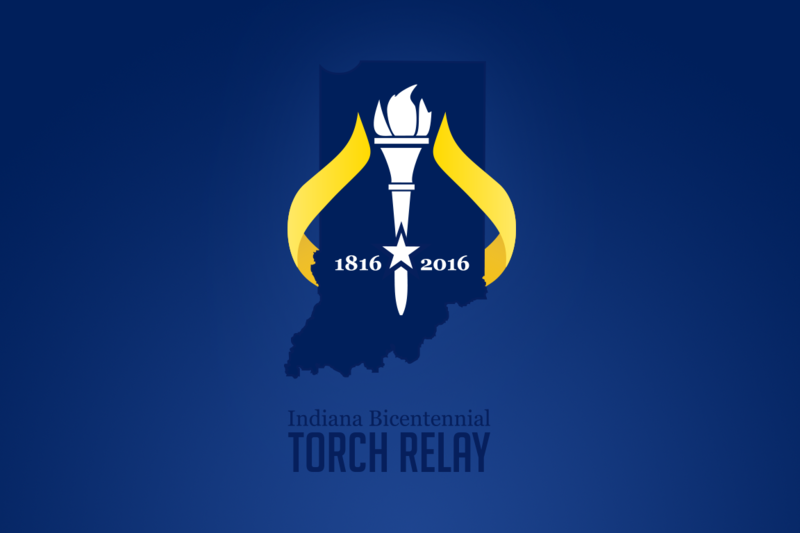 Follow the torch today by downloading the INTorchRelay Application or visiting Relay Info on the website!